Accuracy matters in warehouse operations to have a unified standard on how inventory is handled and stored. In addition to just having an accurate inventory picking procedure, functionality within warehouse technology can also lead to improvements in other areas such as reduced labor cost, improved customer service levels and maximum utilization of warehouse space. With advanced technology, such as efficiency gains through Warehouse Management Systems (WMS), can allow companies to achieve the proper flow of inventory within the warehouse through automation and creating a streamlined supply chain movement methodology. 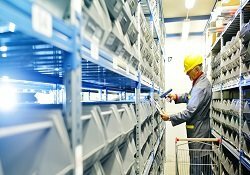 Proper warehouse picking strategies are part of the overall theme of an optimized standard to help in this effort. 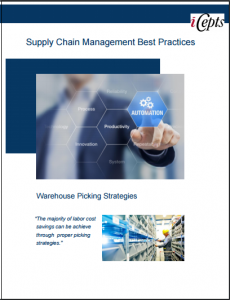 The Picking functionality in warehouse management systems is a core functionality designed to move the paper picking process to a wireless device. Warehouses come in different shapes and sizes. Some are 'wide open' in a square shaped space. Others are contained in buildings on multiple floors, utilizing elevators to transport materials Warehouses will have varying ceiling heights. Some might have yard space. Materials handling will differ by product shape and size. As a result, the warehouse racking infrastructure will vary by product size. Many warehouses keep large products in bulk stacks or pallet racks. While with small products, picking efficiency may be increased by storing smaller products in flow racking or static shelving. Product velocity and order types also affect warehouse layout and consequently the picking strategies. Companies that ship single-sku pallets of product to customers will have significantly different warehouse operations than ones that ship trailer loads of mixed-sku pallets (grocery is a good example of this). Even subtle differences in customer requirements for consumer products wholesalers will have substantial effects on the materials handling and picking. Operations that ship to retail distribution centers will have different fulfillment requirements than those that ship directly to stores. Everyone can probably agree that customer demand appear to only be increasing recently and that supply chain movement is becoming ever so complex. Warehouse Management System, have an abundance of picking styles that will accommodate a warehouse manager's fulfillment strategy independent of warehouse layout, product size, velocity and order characteristics. Learn more and download this FREE article today!